It's already August! 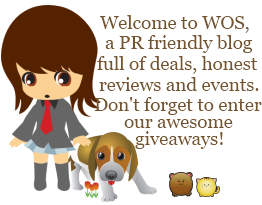 Wow, this summer feels like it's only been a few short days but to get you ready for back to school and work, we have a wonderful giveaway hosted by Diva Fabulosa & Jenn's Blah Blah Blog are proud to bring you another Fabulous Giveaway! 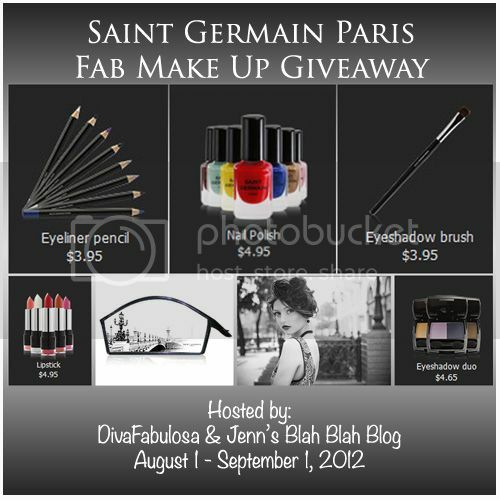 We have some gorgeous Parisan makeup products to giveaway - $450 worth actually! 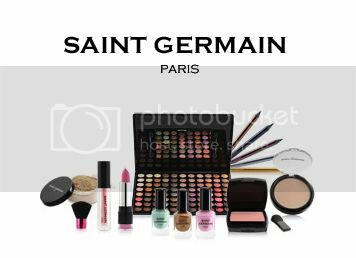 About our Sponsor: Saint Germain Paris makeup is an affordable cosmetics collection with contemporary design and Parisian sophistication. With the spirit and refinement of Paris in mind, this collection offers women quality makeup at a fraction of the cost with a chic, French design. Named after Saint Germain des près, a region in Paris near the river La Seine and famous for its charming streets and romantic feel, Saint Germain Paris blends quality formulas with sleek, French inspired packaging. Saint Germain Paris offers a full range of products for eyes, lips, face and nails. All products are free of harmful chemicals, formulated for all skin types and colors, and available in a variety of colors and shades. I use Clinique and smashbox cosmetics most. Love them! 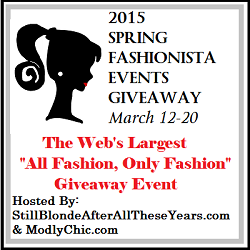 My favorite makeup item has to be Smashbox Photo Finish Light primer :) Thanks for the giveaway!! I use a lot of different makeup but recently I've been using Physicians Formula and I love it! I don't use a lot of makeup, and what I do use I purchase for price reasons. I love Avon eye makeup, though! I mix and match my make-up.